Lieutenant Commander Data was a Soong-type android, the first and only such being to ever enter Starfleet. 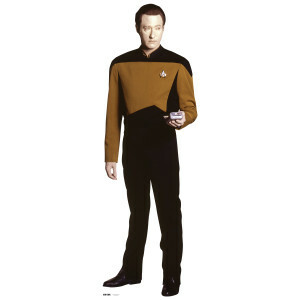 Get the Star Trek Data Standee perfect for your home or office. I put Data in my living room so that he can protect me against intruders. So far he has done a wonderful job. He's also good for dress up.